Gostiny Dvor "Princess Chernogory" is located 2.5 km to the center of the village Verkhovyna and 200 meters from the road. 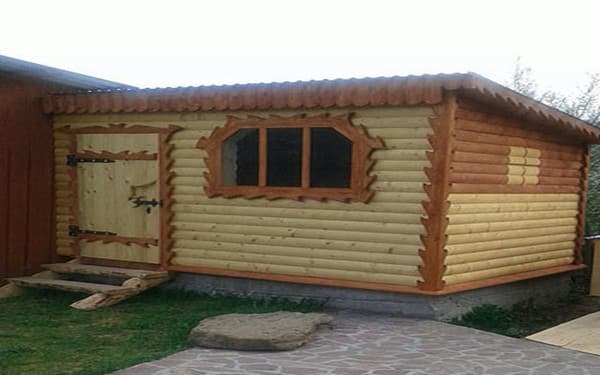 To services of visitors - the two-storeyed house of 2013 of construction on 8 numbers which are completely equipped by wooden furniture. 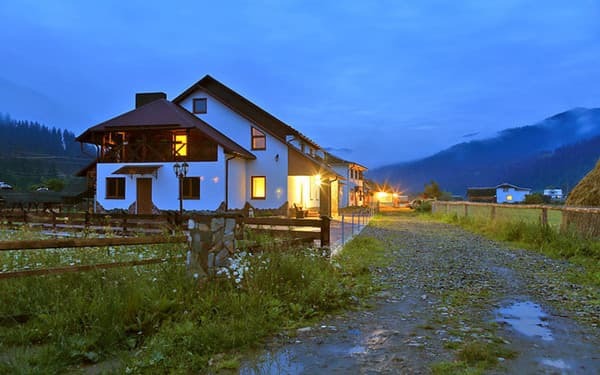 On the first floor there is a fireplace room, a dining table, a kitchen (electric stove, microwave, refrigerator, electric kettle, dishes, sink), 2 double rooms, a bathroom. On the second floor there are 6 double rooms with bathrooms. On the floor there is an exit to the terrace. Water supply: cold and hot water constantly. 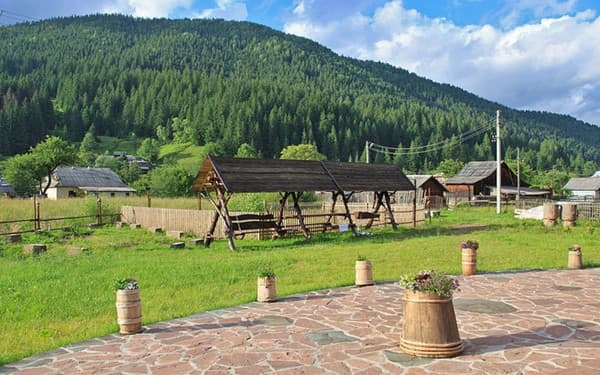 Residents of the estate "Princess Chernogory" are provided with the use of a sauna, active recreation in the form of excursions, hiking in the mountains, picking up mushrooms and berries, fishing, riding horses is also possible. The cottage has a fully equipped kitchen for self-cooking. The nearest café and shop are 200 meters from the manor. The distance to the ski lifts is 1.5 km. 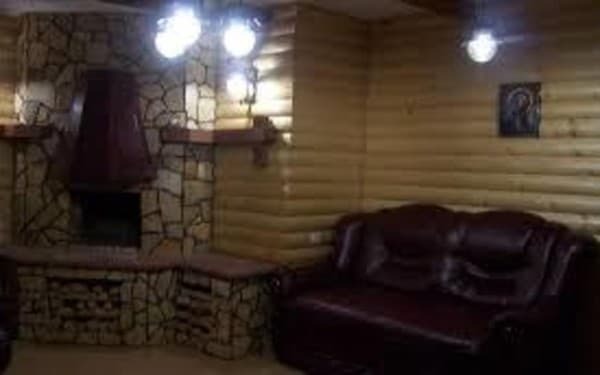 Описание номера: Double room with a large double bed or a large pull-out sofa. There is a wardrobe and two bedside tables. 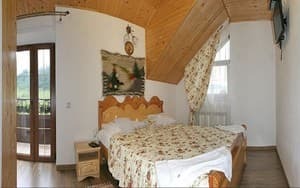 Описание номера: Double room with a large double bed or a large sofa bed. There is a wardrobe and two bedside tables. On the 2nd floor, a room with private bath and balcony. Description of the room: Double room with a large double bed. There is a wardrobe and two bedside tables. Children under 5 years without extra beds are accommodated free of charge. The cost of extra space is 150 UAH. There is a fully equipped kitchen for cooking. At the request of the guests it is possible to agree on the order of three meals a day from the hostess of the hotel (the participant of the culinary show of the chef-lovers of Ukraine "Master Chef"). 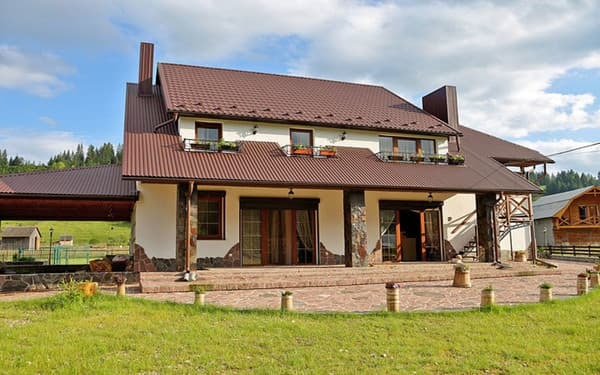 The cottage is located at the foot of the mountain, next to the river and forest.